Buju Banton on stage in Coventry, Jamaica. Photo taken by Pedro Kwezi, CC BY-NC-ND 4.0. 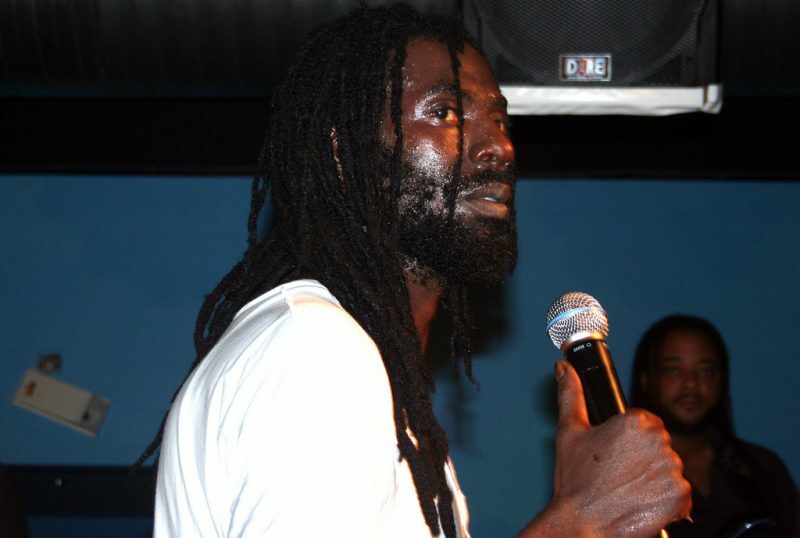 On a warm, cloudless Friday evening, curious onlookers gathered at the arrivals gate, as dancehall star Buju Banton's plane touched down  at Kingston's Norman Manley Airport. Jamaicans were waiting , but received the news at rather short notice: the popular musician who served time in a U.S. prison for the last seven years on drug charges would return to the island on December 7, 2018. Many who felt  that Banton was unfairly treated by the American justice system rejoiced, while others had qualms about the celebrations. Either way, Banton returned as a deportee  — a fact that didn't seem to bother most Trinidadian fans, who celebrated his homecoming  with a street parade in anticipation of his first concert, reportedly to be held there in April 2019. Banton was found guilty  of conspiracy to traffic cocaine in February 2011. The 45-year-old singer, who grew up in inner-city Kingston, is a Grammy Award winner who has courted controversy ever since recording “Boom Bye Bye”,  the lyrics of which advocate killing gay people. He wrote the song as a teen in 1988 and released it in 1992, resulting in many canceled overseas tours due to its violent content. The backlash continued up until the time  he was arrested, although many claimed  that he had “moved on”. Most of his subsequent recordings expressed  socially conscious, spiritual sentiments as he embraced Rastafarianism . Am I the only one who doesn't understand the celebration of #Buju ‘s release? He was found guilty of an unconscionable crime; particularly so for rastafarians. A cultural icon was prosecuted, punished and has been released. Let people celebrate his return and navigate their relationship with the artist as they please. If you’re looking to cast judgement please visit the numerous reports by the Auditor General and note that no public official, especially the celebrated ones, have done time for the serious crimes committed against the poor and working class of this country. Thank you. Many Jamaicans, including LGBT rights group J-FLAG, sprang to Banton's defense, pointing out that he wrote the song while in his teens. Banton was said to be one of a handful of dancehall figures who signed the Reggae Compassionate Act in 2007, eschewing homophobic lyrics — although subsequent reports suggested he did not. The initiative was part of a campaign headed by Tatchell and supported by J-FLAG . The approach to Buju and Bom Bye Bye by global gay rights activists will bear little fruit I believe. They lost that opportunity in 2009. Going forward, they have to find other ways of talking about homophobia and Jamaica. It's not necessary to mention Buju every time. We need to get a grip. Buju was 19 when he recorded Boom Bye Bye. He's now 45. His subsequent recordings have been powerfully positive&nothing like that horrific song. y r we still haranguing Buju about THAT song? How many of us think the same now as we did@ 19? Indeed, Jamaica's taste in dancehall has changed a great deal since Banton's arrest, and some are wondering  whether his music will, too. Will he simply be revered as a dancehall veteran whose time has passed, or will he become a refreshing wind of change?